Peru, the veritable heartland of the ancient Inca civilization is a bucket list destination for many. Still littered with remnants of a once and powerful empire, Peru is entrenched in history and culture. For example, Machu Picchu, the citadel that showcases the skills and building prowess of the Inca civilization still stands strong centuries later, beckoning many in search of a good South American adventure. Peru boasts of a varied landscape, from heights of Andes to the Peruvian Amazon. It is definitely a country emerging as a popular destination, with hotels and culinary offerings all reflecting this very ascendancy. With most countries, it may be critical to find out that the weather in Peru is just right when you visit, after all. Want to know when to visit Peru? All Seasons: May - September, January - April, October - December. The best time to visit Peru is from May to September when the sunny days can be enjoyed with gay abandon, the monsoons are far behind and adventure beckons. The low season is from January to April when it is the rainy season with heavy and incessant showers. The Inca trail, one of Peru’s main attractions may also be shut in the month of February due to the ongoing rains. Peru may be best visited all year round due to its unique geographical location. However, as with most countries it may do you good to pay attention to the weather, lest your favorite attraction be rendered undone. Around May to October is a dry season in Peru making it a wonderful place to be with the sun being quite abundant. Around November and March the rainfall can be felt and noticed with the wettest months being January and February. Overall, Peru is the home of the Machu Picchu, the Inca trail and just a melting pot of modern and historic South American culture that cannot be missed. Between May to September is when the crowds may be more at frenzy due to it being the high season here in Peru. This season is known for its resplendent sun and dry heat may be the best time to visit Peru. The shoulder seasons, between October to November, are also the best time to visit Peru. Weather in Peru pleasant during these shoulder months, barring the occasional shower. Temperatures are also quite cooler, making for pleasant experiences particularly in the highlands. This makes it a good time to visit as the tourist numbers are more controllable, making it easier to get accommodation without booking months in advance. May to September can be when the rains come to a halt, and the Andes are at their glorious best. 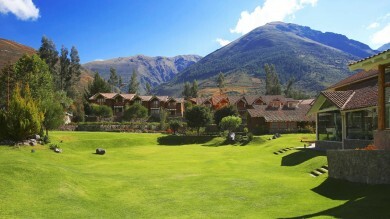 Visitors can enjoy sunny days with a chill in the air especially at the altitude of the Andes. This time may be prime to visit all that Peru has to offer, from the Machu Picchu to enjoying boat trips across the famous lake, Titicaca. However, as this may be the best time to visit Peru, it may do travelers well to search and finalize their trips at least 6 months in advance, mainly due to the high volume of tourists who have the same idea! 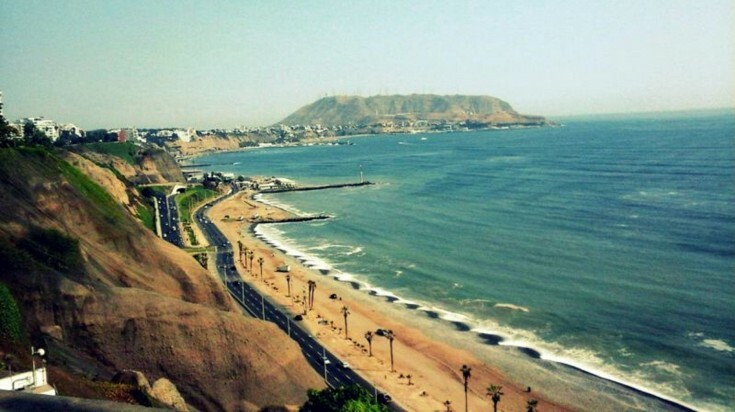 Highlights: Lima may be perfect to visit at this time due to the weather, and can be the starting point for your Peruvian adventure. Lima is a modern metropolis that is entrenched in history and heritage. It somehow manages to blend traditional heritage with modern glitz and glamour that may be second to none. It is a central location from where both Machu Picchu and cities like Cusco are accessible. January to April is considered a wet season in Peru with temperatures dropping and rainfall increasing consistently, as is the norm. One may expect rainfall in all places across Peru, with the Inca trail even being closed around February. 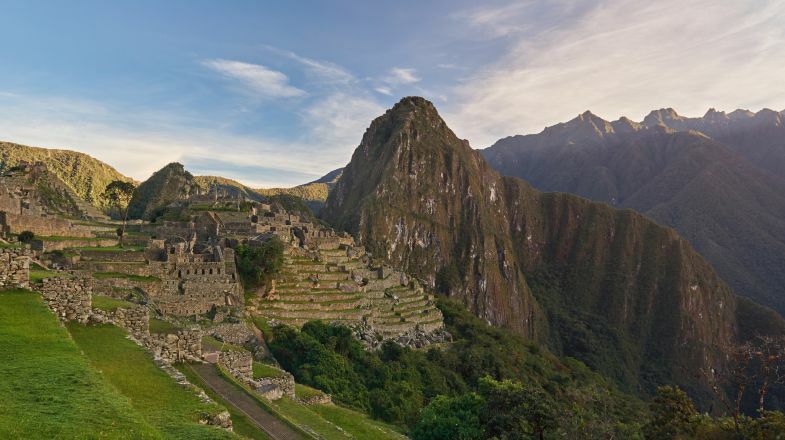 Around the end of February is when the tourist intake increases due to the re-opening of the famous Inca trail. Highlights: Lake Titicaca may be the best place to explore in this season. The shores and islands are entrenched in a mystical aura and enigmatic air that demands exploring. 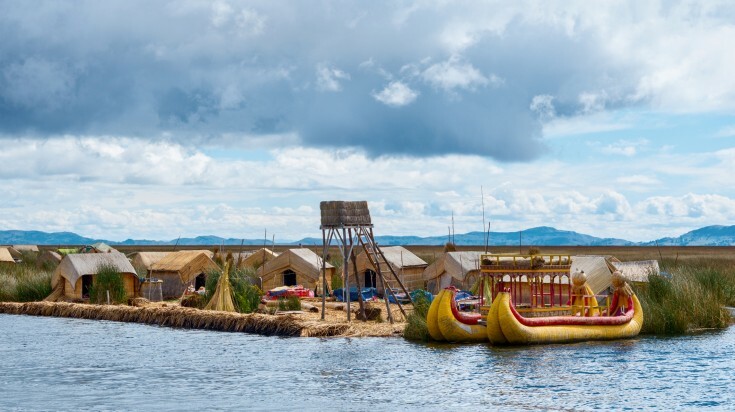 You could sail out to the springy Uros islands that have the tortora reed supporting the framework of the island itself. Or if you prefer you could venture out further to the Taquile and Amantani islands. October and November is when the dry season may come to an end with pleasant conditions. Water levels at the amazon may be high particularly from December to march, implying that fauna may not venture as close to river banks as it usually would. However, the advantage lies in the fact that there is an easier exploration of the river banks due to the weather conditions. These same areas may be inaccessible in other seasons of the year due to the water levels. Highlights: This is may be a good season for you to wander off into the nearby jungles for a plethora of wildlife and fauna. 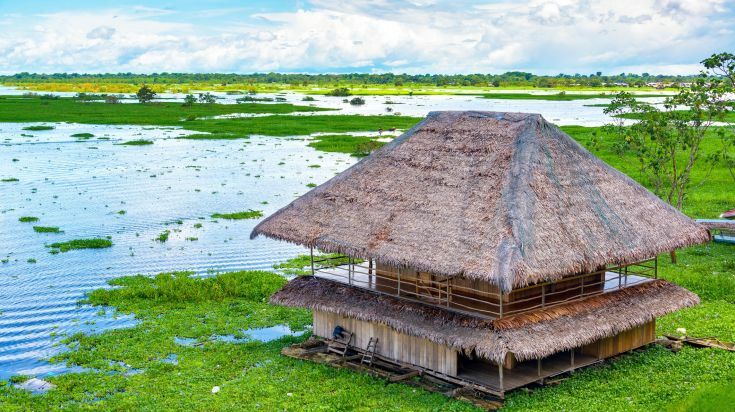 Visit some of the most beautiful lodges in Iquitos, or go on river excursions around Puerto Maldonado. This season marks a good time to spot all the wildlife in and around Peru.